Now I look at the map around my location and see several icons representing those places. Wow! 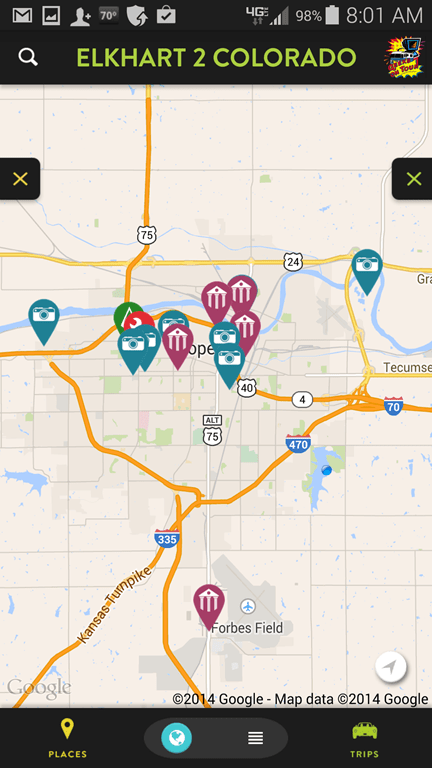 Who knew there were so many interesting things to see and do in Topeka Kansas! Tap on any one of these and you can read all about it. You can also tap on ‘Directions’ and Roadtripper will take you to Google Maps, or whatever other navigation app you have installed, and start turn by turn navigation to that destination. 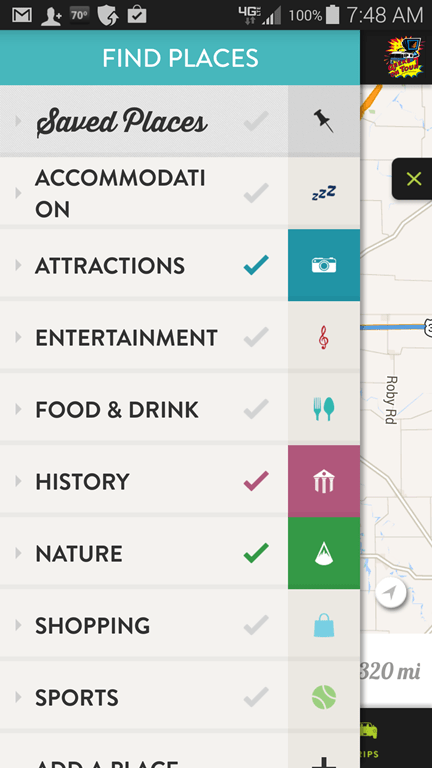 The Roadtripper App is a companion to the Roadtripper website, where you can plan trips, including saving any of the attractions where you want to stop. Anything you plan on the website will be synchronized to your phone or tablet based on how you log in. You can even make your trip public, or share it with friends, so other people can benefit from your plan. And you can benefit from theirs. 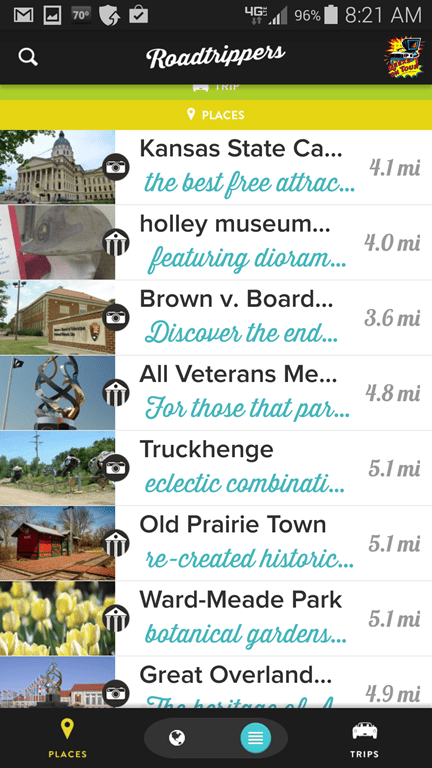 Roadtrippers includes lots of suggestions for trips you can take. Take advantage of their Guides, or read about trips in their Blog. There’s even specifc “GoRVing” guides. Check out their Youtube channel for even more ideas. Truckhenge? Really, Truckhenge? We might just have to get in the car and check that out here in Topeka. Published by MrsGeek, in Blog. Tagged with Android, iPad, iPhone, Travel Apps. We use Roadtrippers as an adjunct to our primary trip planning tool to help identify points of interest along the way after laying out our initial route.For example, we have a 60+ day trip planned starting in mid August from the Florida Space Coast heading West to Las Vegas hitting 9 national parks on the Grand Circle and returning to Florida thru Texas Hill Country. The basic trip plan includes 34 stops +18 point of interest sites identified thru Roadtrippers.